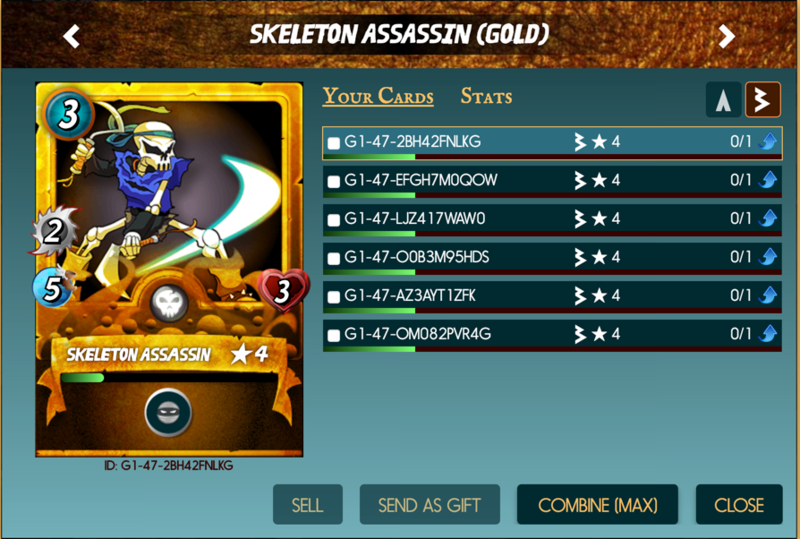 Win This Skeleton Assassin Gold Steem Monsters Card For FREE Today! Would you like to have this Steem Monsters Card for FREE?! Thats right... You can have this card just by entering our Steem Monsters giveaway contest! Follow the steps below to have a chance at winning! First, make sure to follow me @joeparys to be alerted to my weekly Steem Monsters Giveaway Videos! Second, Upvote and Re-Steem this post to share about Steem Monsters and this Giveaway! Comment below telling me something unique about youself, why you would like to win this card, how long you have been playing Steem Monsters and any other reason why you think you should win this card! The most well rounded comment will win this card! Good Luck and I will See You on The Battlefield! I really like to participate in your contests. This card is very interesting because it allows you to hit the last opponent. Certainly it would make my deck stronger, I'd like to receive it. @axeman Congratulations you won the card! I've given you a hard time... but I hope you see that if You offer something of value you get a lot more interaction. Well done! Glad you liked the card offered, check back each Friday for more chances at Gold! I've been playing Steem Monsters since last October. This Gold Skeleton Assassin would really put a shine in my Death Splinter Deck. I hope I win! Keep trying for more chances to win!